Don't let the car battery "strike"
Battery "strike" means you have to "guest" the role of the engine, you have to push the car to go, if you are a person with a battery shortage, you have to find someone to fight for your direction. It can be seen that the consequences of the battery problem can be very troublesome. In order to allow our vehicles to travel safely and return smoothly, we must always pay attention to the condition of the battery to prevent it from happening. If the battery is not used for a long time, it will slowly discharge itself until it is scrapped. Therefore, the car should be started once every certain time to charge the battery. Another method is to pull out the two electrodes on the battery. It is necessary to remove the positive and negative electrode wires from the electrode column. First, unplug the negative wire or remove the connection between the negative electrode and the chassis of the car. Then remove the other end with the positive mark (+), the battery has a certain service life, it will be replaced in a certain period of time (this period is generally 2 years). The same order should be followed when replacing, but when the electrode wires are connected, the order is reversed, first connected to the positive electrode and then to the negative electrode. When the ammeter pointer indicates that the storage capacity is insufficient, it should be charged in time. The storage capacity of the battery can be reflected on the instrument panel. Sometimes the power is not enough on the road, and the engine can't start. As a temporary measure, you can ask other vehicles for help. Use the battery on the vehicle to start the vehicle, connect the negative and negative poles of the two batteries, and connect the positive pole to the positive pole. (The tools used are the "crossing dragons" we often hear). Distilled water or special rehydration should be added when the electrolyte is deficient. Never use pure water instead. Because pure water contains a variety of trace elements, it will have an adverse effect on the battery. Uninterrupted use of the starting opportunity when starting the car causes the battery to be damaged due to excessive discharge. The correct method of use is to take no more than 5 seconds for each time the car is started, and the interval between starts again is not less than 15 seconds. In the case of multiple starts and still not in the car, you should find the reason from other aspects such as circuit, ignition coil or oil circuit. Always check the small holes in the battery cover for ventilation when driving daily. If the small hole of the battery cover is blocked, the generated hydrogen and oxygen will not be discharged, and when the electrolyte expands, the battery case will be broken and the battery life will be affected. How to purchase HOWO spare parts correctly? 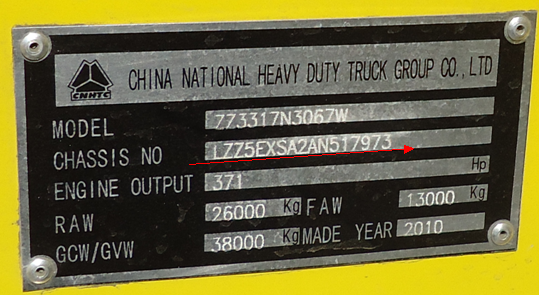 For most foreign customers, the most headache thing is to book spare parts for their trucks, especially China trucks. 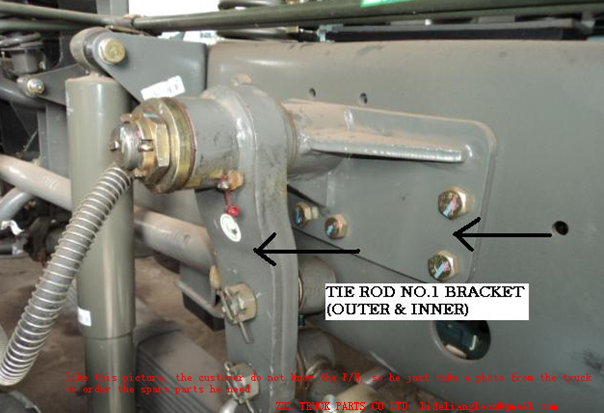 Taking SINOTRUK for example, with the updating for HOWO trucks year by year, there are many old type spare parts are instead by new types, but the catalog which we use is always cannot keep same step with new trucks. That is why some customer complains that why they cannot get correct HOWO parts since they give part number according to the catalog, so here now we would like to give some advice for dealers, which can help them to prepare the spare parts easily. VIN (Vehicle Identification Number) is the vehicle`s only identification information based on. SINOTRUK after-sale service software can give all information of the truck, and if the dealer is officially belonging to SINOTRUK`s after-sale service system, they will have this software. Because of the changing of spare parts is quite often for SINOTRUK, so this VIN is very useful if customer cannot give part number correctly. 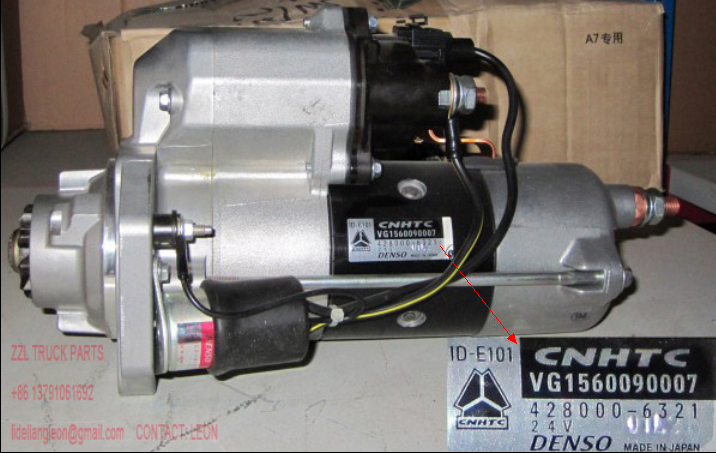 Part number is much easy than description or pictures, because if we got the correct P/N, we can find out the part name and picture easily, and also no need to check model, year of production-etc, because part number is the identification for spare parts. Sometimes, customers do not know the P/N or even the name, what we can do if this happens? If you do not know the P/N and name, just take a photo for that part and send to us, with the help of our experienced workers and engineers, the service center can help you find out what it is. For all, if you have these three ways to order spare parts, the writer thinks that 99% problems can be easily solved and wrong send spare parts will be less and less, that will be very good for the business.